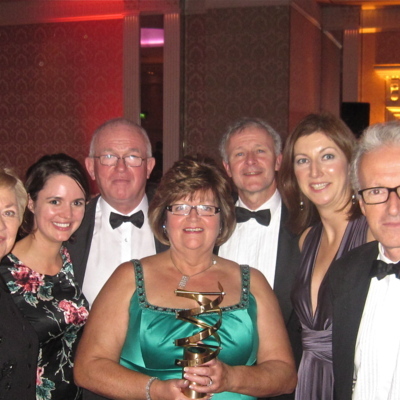 Hospice Friendly Hospitals staff at the award ceremony for the Irish Medical Times Award for ‘Excellence in Healthcare Management’ on 28 October 2010. 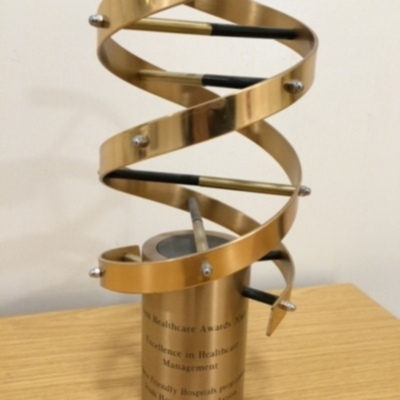 The Hospice Friendly Hospitals programme won the Irish Medical Times Award for ‘Excellence in Healthcare Management’ on 28 October 2010. President Mary McAleese and patient at St. Mary's Hospital, Phoenix Park at launch of Hospice Friendly Hospitals programme. Image of President Mary McAleese and patient at St. Mary's Hospital, Phoenix Park at launch of Hospice Friendly Hospitals programme, 2007. 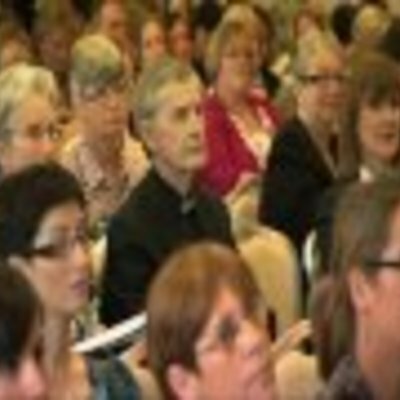 Mervyn Taylor and Jean Manahan the the launch of Hospice Friendly Hospitals. 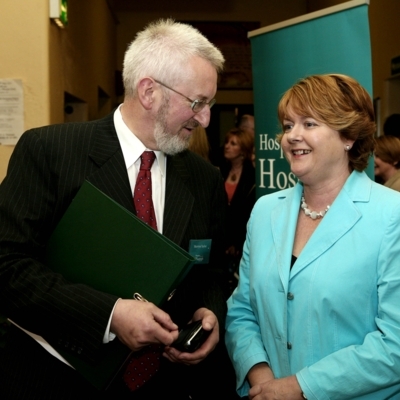 Image of Mervyn Taylor (left), Hospice Friendly Hospitals programme director and Jean Manahan (right), Irish Hospice Foundation board member, at the launch of Hospice Friendly Hospitals, 2007. 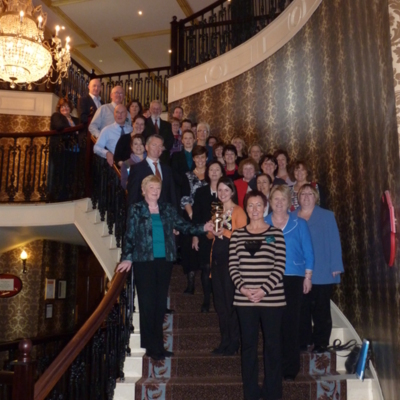 Hospice Friendly Hospitals Programme Team with President Mary McAleese. 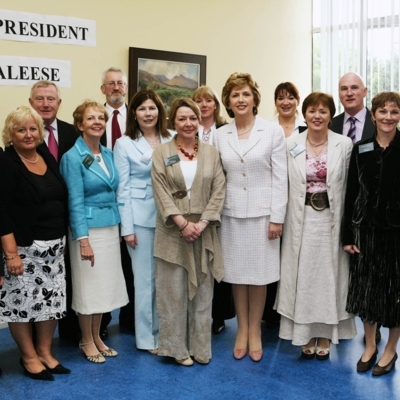 Image of Hospice Friendly Hospitals Programme Team with President Mary McAleese, at programme launch, 2007.